(Helen) Opera in 4 acts by Stanislaw Moniuszko; libretto by Wolski, after Wojcicki's story "Goralka"; premiered in Vilnius, 1848. The most popular Polish opera. The story takes place in southern Poland near Krakow in the late eighteen century. Halka loves Janusz, who love Sophie. 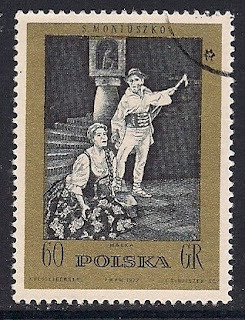 Janusz seduces Halka, but forsakes her; she kills herself while Jansz and Sophie are being married.